With education and social inequalities under scrutiny, this book provides a summary of research into the key issues, as well as practical strategies for educators, including strategies for staff development, working with children and school policy. 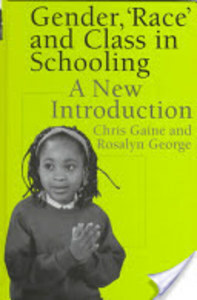 The facts have changed significantly, and much received wisdom cannot be relied upon: girls' performance is rising faster than boys and surpasses them in almost all respects up to the age of 18; unequal opportunity faced by those of different race is becoming more fractured along class, gender, ethnic and religious lines; class divisions are increased with the reintroduction of selection and has become a matter of concern for government and school policy makers. This title makes good the lack of literature on inequality, and brings teachers, and those training to be teachers, important information.